Editing all the information of a particular song that you copied from an audio CD or downloaded from the internet, is usually needed when the download providing website has all the fields filled with their website address instead of the original album name, artist name etc. 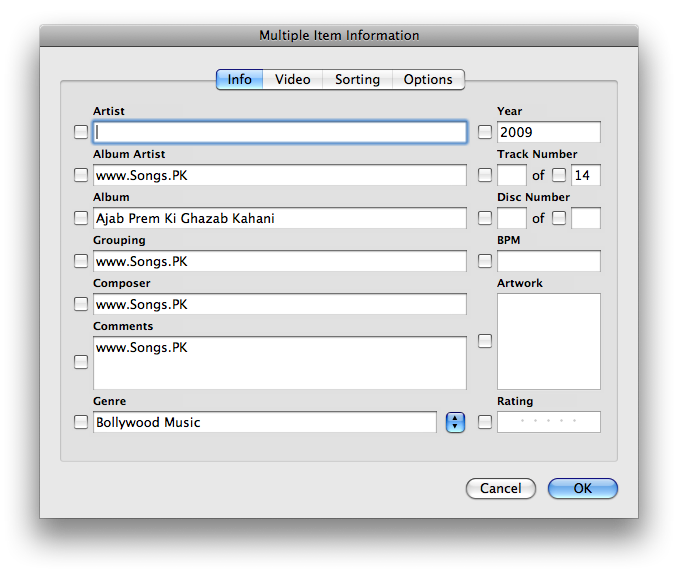 Select the particular song in iTunes and then right click to open the list of options. Hit the Get Info option in the list, to open the box with all the info and options to change for the song. Here you see all the info like Name of the song, Artist, Album artist, Album, Grouping, Composer and any more comments that you would like to add for that song. 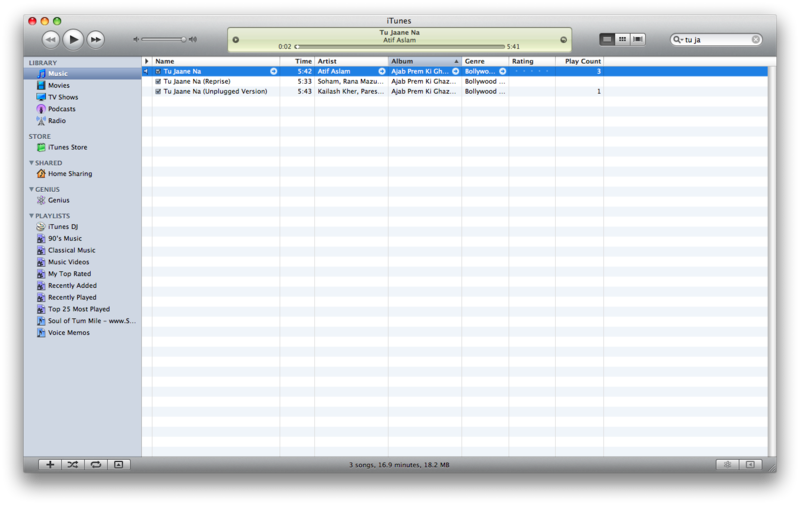 Also, you can set the genre of the song. If the song is from a particular album, the track number of the song is also given there. Edit the information as you wish and you can put up the correct info for the song, instead of the promotional websites that you might see there. Editing the information of multiple songs together is possible if you are trying to edit them from a single album(although random files can be altered together, accuracy is more and easier with same album songs). 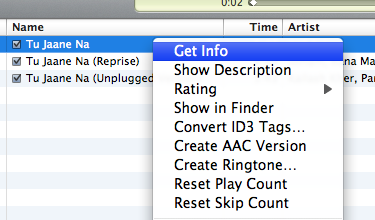 Select all the songs you want to edit information for, and then right click, hit Get Info. Edit the information and everything changes in every song when it change it at a single time itself.